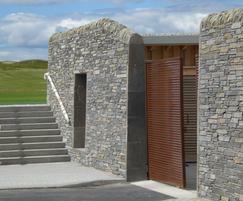 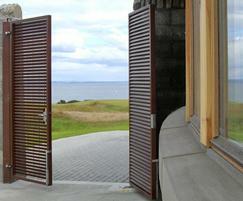 The Castle Course added to St Andrews' portfolio of golf courses when it opened in July 2008. 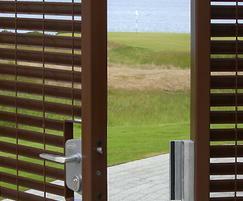 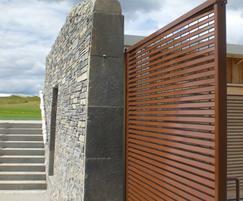 The architectural brief was for a prestigious club-house with a low environmental impact. 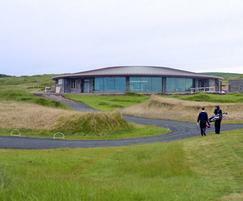 It is circular in design, is clad in Scottish sandstone, and features a copper roof. 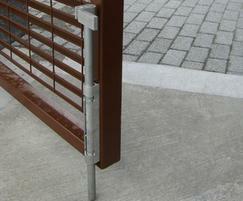 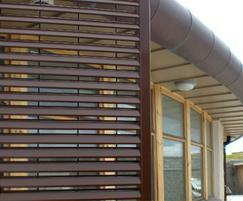 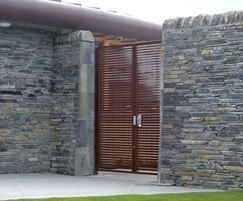 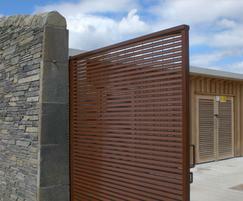 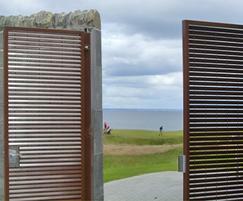 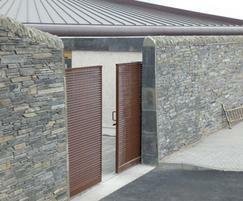 Lang+Fulton supplied two sets of 2400mm high double gates incorporating Italia-80 steel louvred panels. 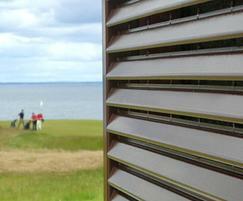 These screen off the service area at the rear of the clubhouse, but still provide some through-visibility for security. 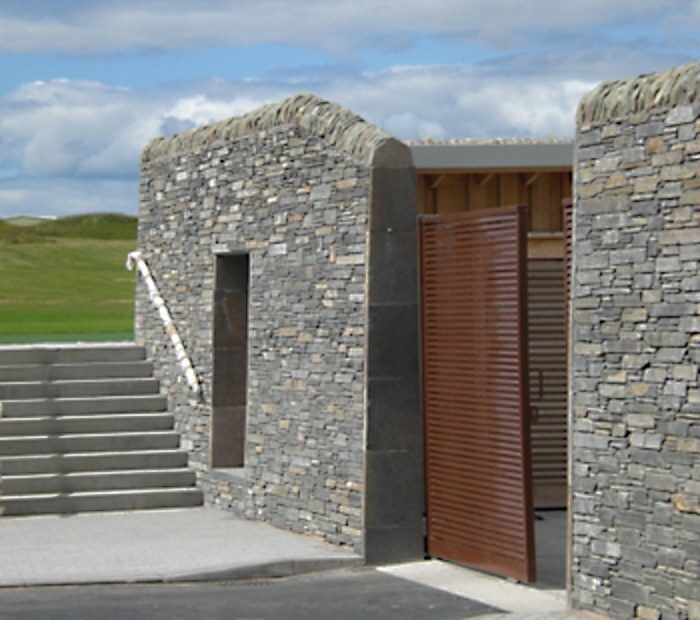 The gates were hot-dip galvanized and polyester powder coated (RAL 8011) for maximum resistance to corrosion at this coastal location, and fitted with high quality euro-profile cylinder locks and anti-lift drop bolts.